Can I paint a Wound Up Carbon Fork? Sure! Custom builders frequently paint our carbon forks to match their frames. It’s really a matter of aesthetic: some builders and owners love the crosswoven ebony look of our finished carbon, while others would prefer it to blend in with the frame. In the various photos on this site, or even just on this page, you can see examples of both. And, whether you go with an unpainted black carbon look or a painted look, you still get the same great Wound Up performance! Life of a Wound Up Carbon Fork? Like all forks, Wound Up’s carbon fiber forks have two potential modes of failure. They can wear out gradually (fatigue) or break from some ungodly impact that they were never meant to withstand (catastrophic failure). We believe that our carbon forks endure both of these stressors better than most, and we subject them to extensive testing to verify that they do. We recommend that you, the rider, follow a regular inspection and maintenance schedule in order to extend the life of your fork, as well as to identify potential weaknesses. Let’s talk in detail about fatigue and about catastrophic failure. Wound Up forks withstand fatigue heroically, and should last much longer than steel, aluminum or titanium forks. Because of their unique filament-wound construction, they should also outlast other carbon forks. While exact lifespans are specific to a given rider and her or his riding habits, we usually see our forks lasting for more than a decade with fairly heavy use. However, since we cannot know your personal riding patterns, we cannot specifically endorse your using it beyond eight years. Or, if you like, 40,000 miles. That’s why we offer our courtesy replacement program. If it’s old enough for you to ask, don’t risk it! All forks are susceptible to catastrophic failure occasioned by an impact. Wound Up carbon forks are no exception in this regard. Though their filament-wound construction renders them extraordinarily strong, it’s best to take no chances. If your fork is involved in any sort of accident or out-of-the ordinary impact, it must be inspected immediately by a professional. If any doubt remains about the fork’s viability after such an inspection, replace it—again, with our replacement program. Additionally, you should follow Wound Up’s maintenance recommendations to get the most life out of your carbon fork. How much do custom Wound Up forks cost? For pricing on upgrading your Wound Up carbon fiber fork—anodized components, extra options, etc., see our Custom Fork Options Pricing page. Are your carbon forks heavy? We’ve never had weight as our foremost concern. For us, rider safety and ride quality come first. Our carbon forks are reasonably light, while still adhering to our core commitments. We’re not weight weenies. We build the strongest, best handling carbon fiber fork on the market, and we’re not willing to sacrifice its distinctive advantages. And, really, would you prefer to shimmy and shudder all over the road in order to lose a few ounces? Once you’ve ridden a Wound Up fork, you’ll appreciate our choice to prioritize performance over weight. Not only do our forks dampen road vibration, they practically pilot themselves. The stunning torsional rigidity of a Wound Up carbon fork will have you floating around the most brutal curves. What gives Wound Up’s carbon fiber forks their unique ride? Where are your carbon forks made? Good question. Short answer: yes. We make our carbon fiber forks in Salt Lake City, Utah. We address the question in more detail on our page about Made in the USA, near the bottom. Why only one basic geometry for Wound Up bike forks? The enigmatic Wound UpTM look. We get it: the geometry of our carbon forks has a polarizing effect. Some praise the zen-like minimalism of a Wound Up. Some call it retro. Others, less favorably inclined, may say the aesthetic is dated, reminding them of old-school steel. Others, loving old-school steel, consider that comparison to be favorable. 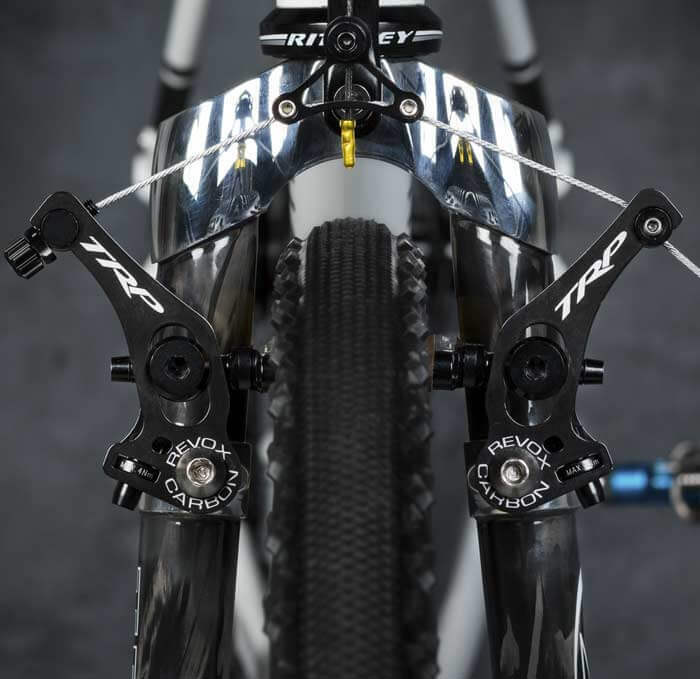 Whether you love the look or hate it, though, here’s what you need to know about our carbon fiber forks: we build for utility foremost. Not that we don’t care about appearance. On the contrary, we’d love to invent an aesthetic that tickled everyone. But people are funny that way. Tastes change. A novel appearance, no doubt, would please some and alienate others. However, one thing will always be in vogue: elite performance. And that we do control. Customers, whether they praise or despise the look of our carbon forks, ride them because they’re not going to find another filament-wound carbon fiber fork. They’re not going to find another fork with such responsiveness and agility. And, they’re not going to find another carbon fiber fork made in the USA with this level of craftsmanship. So, regardless of your aesthetic tastes, don’t deny yourself the plushest ride out there. That basic straight, round carbon leg? That just happens to be the geometry that best resists torsional and lateral displacement. That geometry is the reason you hardly feel a washboard corner at 40 mph. It’s the reason you never have that godawful speed wobble that is the bane of cyclists everywhere. Naturally, it’s the reason why Wound Up’s carbon fiber forks have held their reputation for twenty years. What sorts of quality controls does Wound Up use for their carbon bike forks? We subject our carbon forks to extensive testing as outlined by CEN and ASTM. (CEN is the European governing body that regulates products and their material properties, and ASTM is its counterpart in the States). More info on our Wound Up carbon forks Quality Control page.